So I have made it to week3... Go me! last week ramped up a bit towards the end with blocks and enumerators. The weekend homework task was to create a Karaoke bar which was apt as I was lucky to be staying at the Crieff Hydro for the weekend. Sitting on my Mac in the bar with a beer coding had just the right inspiration and atmosphere. 3 objects were created, Room, Guest and Song. All had to interact with each other and it was fun to playing with the objects. Monday standup was interesting to hear how my cohorts also enjoyed the homework. The Monday lesson began with a bit of thought for the day and a pep talk for the cohorts to make sure we are having fun and enjoying coding. 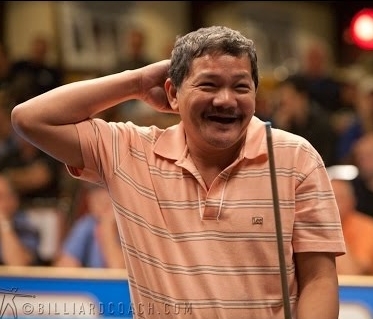 We should program like Efren Reyes who is a famous pool player. When he makes mistakes he takes them on the chin and laughs them off rather than getting all stressed. So when our code is not working don't stress it, just laugh and work through it. A good mental attitude will help us code better. This week is SQL week, so in the class room, lessons introduced us to databases. Lots of CRUD (Create, Read, Update and Delete). This class was made easier through creating a Star Wars example database. Luckily for me Jamie (myson age 8) and myself watched the Force Awakens in the hotel cinema the night before so I was up on my Jedi. Tuesday, and the 'SQL' homework was summed up during the 9am scrum by a fellow cohort as 'SQ-Hell'. 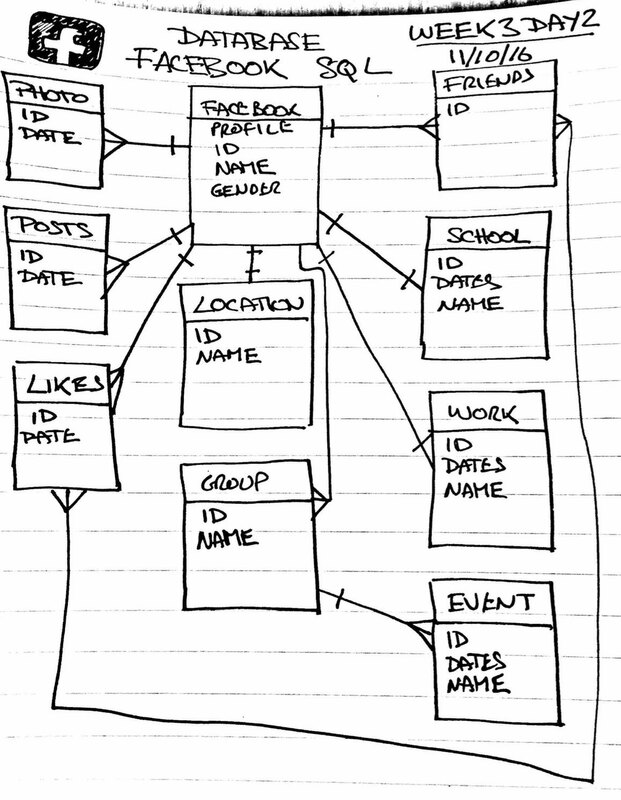 The homework was a challenge to format SQL queries on a database to retrieve data with Increasing complexity. The last few questions required multiple inner joined tables! The day progressed with more SQL and introducing Ruby into the mix. Programming Ruby to push and pull data from the database meant that data used in the Ruby programs could be persistent. So we created a Pizza Shop and started passing pizza orders into the database and removing them to an array of Pizza objects. Both Luke Skywalker and Darth Vader placed pizza orders. In the afternoon lab, we split into pairs to program methods to recover data on the pizza sales and who placed orders. Wednesday and SQL continues to advance; We moved the database calling logic out to its own class and passed it an SQL query as a string... Then placed method calls on the objects using a block to retrieve the data... Check me with all that jargon in one sentence. Thursday, following the scrum we get a presentation from Cohort6 of the projects they have been working on for the past week. They are 10 weeks ahead of us and were assigned a team challenge last Thursday. A couple of words come to mind: 'Wow!' they achieved that is a week! ; and 'PANIC!' we need to do that in 10 weeks?. The brief was to create a raw Java Script web app. The range of solutions and functionality presented was brilliant. From Dashboards for Astronauts, to Munro Bagging tool, to a Disease mapper. I still have lots to learn. Afternoon and its back into class and we are still in SQL databases, only this time we have moved into the world of Pokemon. 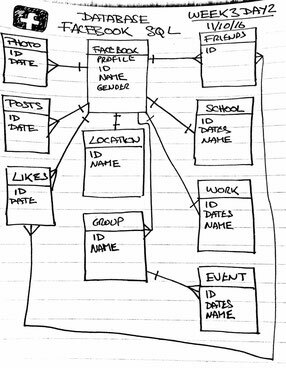 The lesson is to create Many-to-Many database interactions, between Pokemon and their Trainers with a Joining Table. The lab was to create our own databases with Wizards and Magical Items. Thankfully Thursday is social night. Some well deserved beers and a burrito closed off the day. So to sum up... another great week at CodeClan => still very challenging => I have some brilliant Cohorts enjoying the Journey with me => Roll on week 4, where we get to add an interface to our Ruby and Databases.